If you have been craving to see a gigantic live salsa band for months, your wait is almost over. GarDel comes out of hibernation, landing itself at the nexus of the Triangle music scene, ready to share the fruits of its winter rehearsals. Latin music spring begins on March 31st, and you can get your advance tickets right here. North Carolina’s premier Latin music group Orquesta GarDel will kick off its 2012 performance season with a headlining show at the Cat’s Cradle in Carrboro on Saturday, March 31. This will be GarDel’s first appearance at the Triangle’s legendary music venue, to which they bring their brand of explosive tropical rhythms and large-group experimentation for two sets of music. Orquesta GarDel is making a conscious effort to place its unique blend of classic salsa forms and edgy funk and jazz influences in front of a more diverse audience, reflecting its members’ collective hope for the music to transcend any listener’s desire or ability to dance. 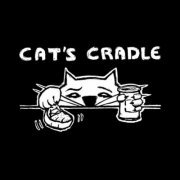 “The band is thrilled to play at the Cat’s Cradle,” says pianist and co-director Eric Hirsh. “This unlikely group of accomplished musicians was born and raised into a unified salsa family just down the street at UNC Chapel Hill, and it fits wonderfully within the Cradle’s long history of presenting a diverse roster of artists.” GarDel will announce the rest of its spring and early summer tour dates in the coming weeks. Tickets for the March 31 show can be purchased and additional details found at the Cat’s Cradle website. What do you think are some cool things we could do to celebrate a new season for NC salsa at the show? Notes: GarDel holds it down at the Triangle’s legacy music venue. Two sets of our latest tropical grooves. I love the blend of international cultures specially salsa.